States continue to grapple with the effects of falling fuel prices. Resource-heavy states, like Alaska, are particularly hard-hit. Even states that do not produce gasoline are being affected. The lower fuel costs are bringing in less gas tax revenue in some states, causing budget deficits. State gas taxes vary widely. The highest state gas tax is assessed in Pennsylvania, at 50.4 cents per gallon, with Washington State (44.5 cpg) and New York (42.64 cpg) following closely behind. Alaska drivers pay the lowest rate in the country at 12.25 cents per gallon. These figures do not include the 18.4 cpg federal gas tax. 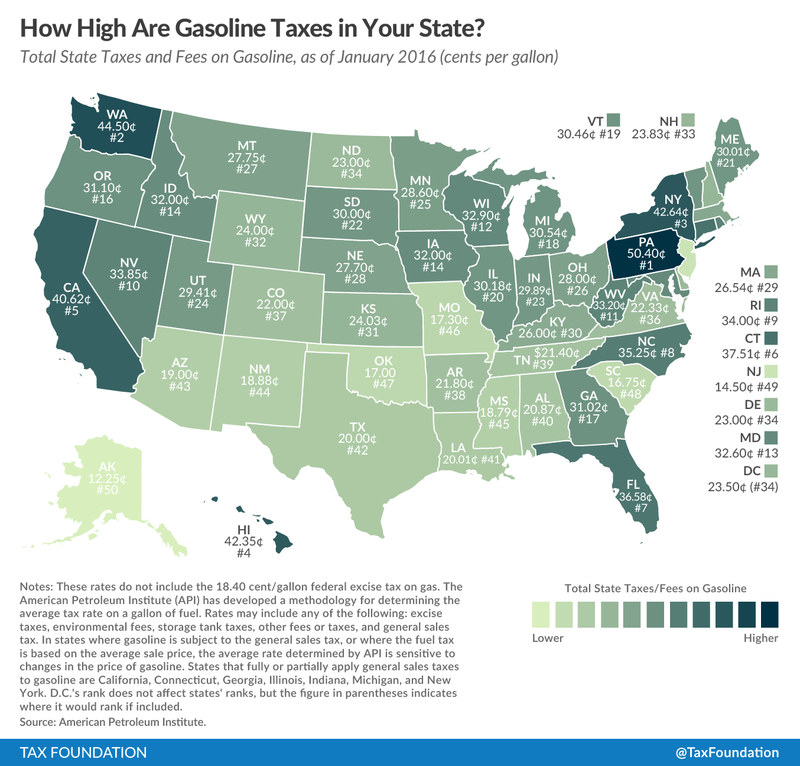 This week’s map shows the gas tax rate in each state as of January 1, 2016. Gas taxes operate under the benefit principle. In general, gas taxes are used to provide revenue for road construction, maintenance, repair, and improvements, but states are moving away from this approach. 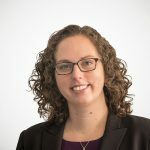 In fiscal year 2013, the last year in which data is available, gas taxes and motor vehicle license fees paid for 41.4 percent of state and local road spending. That percentage is falling over time as state gas rates do not keep up with inflation. States assess gas taxes in a variety of ways. Some states assess a flat, per-gallon tax rate that is collected at the pump. Other states charge wholesalers a tax on the wholesale price of a gallon, and some states assess a sales tax on the purchase of gasoline. This makes it difficult to directly compare gasoline tax rates across state lines, but the American Petroleum Institute’s data attempts to do just that. Their methodology corrects for this variance and calculates the average tax rate on a gallon of fuel in each state. For more information on gas taxes, click here.